Happy International Women's Day! It's a curious viewpoint this 1950s advertisement espouses, but of course 20/14 hindsight comes into play. Personally, I'm all for anything that absolves members of all genders of vacuuming and laundry, but that's just me. 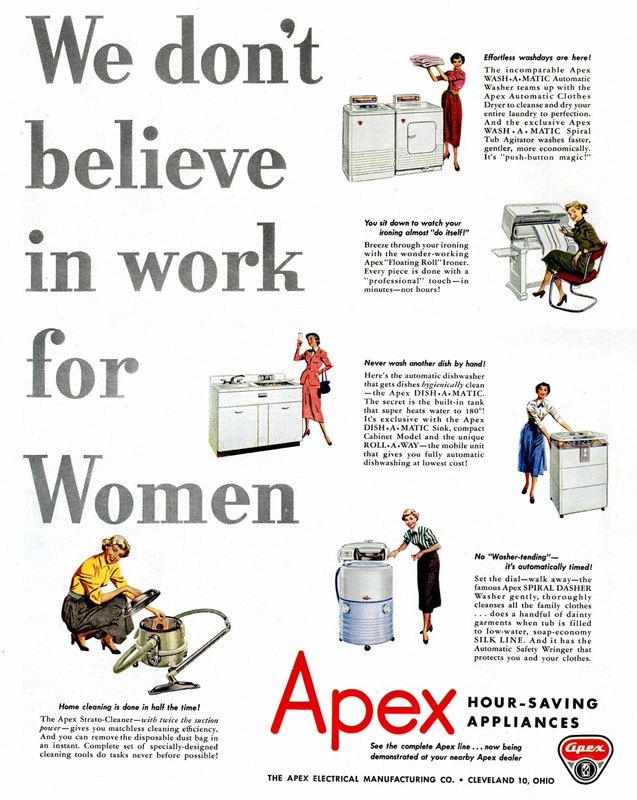 A wholly unrelated footnote that will intrigue the attorneys among you: In 1941, Apex and Maytag went to court over a variety of patent infringements, involving wringer washers and ironing machines aka mangles—much ado about sliding retaining pins and vertical axes. How did it all end? Read here.